I had seen this floating around on a couple of other blogs in the past and thought it looked fun! A little way of telling people a bit more about the person behind the blog. Basically, whoever nominates you gives you a series of questions to answer, normally around 10. You link back to them in your post and answer the questions given. You then nominate other bloggers and provide a list of questions for them too! So here are the questions from Kristina and my answers! 1. What do you do to wind down and destress? Normally I read or do some form of crafting, usually sewing or crochet. I don’t really have any stress in my life at the moment but I still fill my time with sewing and crochet anyway! Getting a dose of Vitamin D…sitting in the sun. I know that many frown on sunbathing but whilst we have been in the USA we spend a lot of time chilling on a lounger by our pool or sunning it up on the beach. In the UK, about 10 days of the year are good enough to sunbathe so I have never really had a tan. I’m making the most of this Alabama sunshine while I have it! 3. What keeps you motivated to keep blogging? I love waking up in the morning and looking at how many views,likes and comments I have 🙂 People take their time to read my blog and I am very grateful of that. 4. Do you have any fur babies- or real babies? 😉 Tell me about them and share some photos! One fur baby back in the UK with Adam’s parents. With Adam’s contract only being for the initial period of 1 year, we didn’t want to upset her by flying her back and forth so she is being spoilt rotten with them at the moment. We love Skyping every Saturday though most of the time she is fast asleep due to the amount of walks she gets! 5. What category on Pinterest do you get absolutely lost in for hours? 6. How did you pick your blog’s name and theme? I wanted something that had a link to sewing as that is what I blog about the most. But, as I have mentioned before, I like to blog about everything. Bits & bobs is another saying for all sorts….bobs links to bobbins… and so Threads & Bobbins was born. With the exception of two, we have been to the beach every weekend that we have been here. To have amazing beaches only an hour away is such a luxury for us. We have nice beaches in the UK, but it never seems to be warm enough to wear swimwear… and in my opinion, the nicest beaches in the UK are in Wales and on the South coast, both at least 3 hours away! 8. What song do you jam out to every time you hear it? 9. If you could do your dream job, what would it be? To own and work in my own craft shop, providing workshops to the public and school groups. 😀 I hope to make it a reality one day! When people are rude. Like if you are going through a door after someone and they let it come back in your face…or if they don’t say thank you when I have held the door open for them. I try to be polite and nice all the time and I just don’t understand why some people can be so miserable. 11. What fall shows are you addicted to? I’m not watching that much TV at the moment but we have tuned in to the first episodes of the new seasons of Walking Dead and American Horror Story. We loved them when we were back in the UK and feel privileged to get them early here! I also like watching Utopia I love watching how people interact with each other! So there we go! My questions from Kristina answered! ….. then I found out I had a second nomination from Beth at After Dark Sewing!! I like answering questions so have done hers too! To be able to click my fingers in the morning to get ready. I like to look nice; do my hair, put a little bit of makeup on, wear nice clothes etc but I just don’t like the thought of wasting half an hour to get myself ready in a morning! It turns into an hour when I have to wash, blow-dry and straighten my hair as it is soooo thick and wavy! 2. Which movie would you watch over and over? 3. If you could be granted three wishes, what would you wish for? – to never to have to worry about money. – to never be judged about the actions I take. – to be able to eat as much as I liked without gaining any weight! Tea all the time…. good Yorkshire Tea to be precise! 5. What are your pet hates? See pet peeve question above! 6. If you were a crayon, what colour would you be? 9. Are you a lark or an night owl? Definitely a night owl! I hate getting up in a morning and could easily stay in bed until lunch time. I’m doing quite well at the moment though and making myself get out of bed before 9am! 10. What was your favourite television programme as a child? 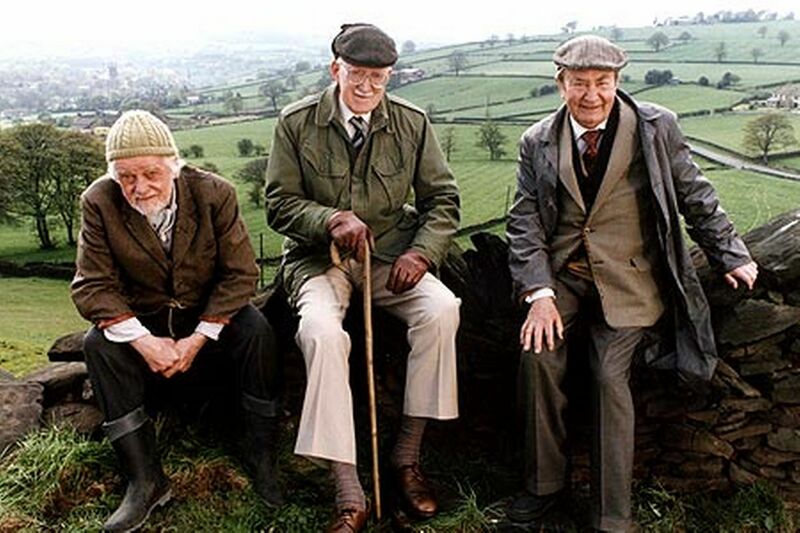 Last of the Summer Wine – I used to cry when it went off 😥 and also sobbed when Compo (Bill Owen) died. Feel free to pop across to my nominated blogs; check them out and give them a follow or a comment! I’m looking forward to reading the responses! I feel like I know you now!! I love how you’d be a multi-coloured crayon! Great answer!